Welcome to Lavish Salon & Spa! We specialize in bridal, spa, in salon and on location parties. 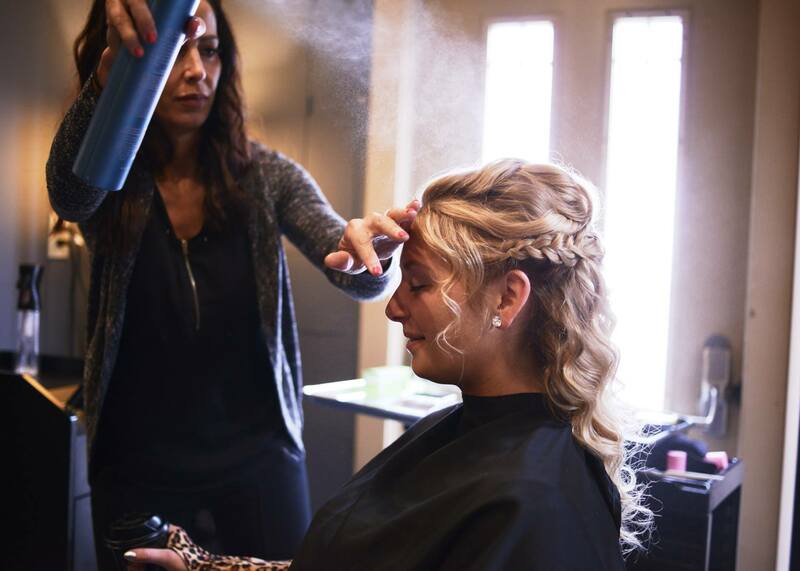 Let our team of talented artists and stylists show you how flawless you can look for your big day! Book 5 or more for our organic airbrush tanning parties, enjoy complimentary wine and snacks and the hostess enjoys her service FREE! A refreshing and modern full service salon & spa where you can enjoy a true LAVISH experience. Relax, and enjoy amazing services while you recharge. We have complimentary wine &, coffee, WIFI and hand massages while your color processes. Offering everything from hair & nails to spa and bridal parties to organic airbrush tanning and more. Lavish is open by appointment Tuesday through Saturday. Weekly hours are typically from 11am-7pm and 9-3 on Saturdays though our hours are subject to change and we will work with your schedule to accommodate you in any way we can!